The Council of the University of Guyana on Tuesday announced that Professor Ivelaw Lloyd Griffith has accepted its offer to become Principal and Vice-Chancellor. “Professor Griffith was selected after an exhaustive national, regional and international search, short listing of three candidates and evaluation based on a series of lectures, the candidates’ credentials and an interview by the Search Committee appointed by Council,” the Turkeyen-headquartered tertiary institution said in a statement. Professor Griffith will assume office as UG’s 10th Vice-Chancellor on June 14, 2016. Professor Griffith, who has the honour of being the first person in the University of Guyana’s history to graduate with Distinction in Political Science in 1980, has achieved an outstanding record as a scholar, academic leader and teacher. He is currently Executive-in-Residence at the University at Albany, State University of New York. He has held a number of other leadership positions, including President of Fort Valley State University in Georgia (2013-2015), Provost and Senior Vice President at York College in New York (2007-2013), Provost at Radford University in Virginia (2006-2007), Dean of the Honours College at Florida International University (2001-2006), and Budget Dean of the College of Arts and Sciences at Florida International University (1998-2001), all while maintaining his tenure as a political science professor. He views his appointment as “returning to the place where his academic journey began” and as an opportunity to make a significant contribution to his homeland. According to Professor Griffith, “Guyana’s sole national institution of higher learning is a long-neglected educational enterprise that must be transformed into a meaningful facilitator of educational and economic development—for citizens and society. It must foster dreaming and doing about changing personal and societal realities, and enable discovery in all relevant fields.” Professor Griffith considers the University “a pillar of the nation’s economic and social development” and he looks forward to working with governmental, alumni, business, civic, and other stakeholders to enable it to provide a platform to explore myriad opportunities and a stimulus for innovation. Professor Griffith has gained international recognition in the field of Caribbean and hemispheric security, drugs and crime, as one of the leading scholars in those fields. 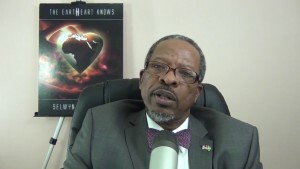 He has published seven books and more than 50 academic and policy articles, and has been quoted in numerous media including the New York Times, BBC World Service, Washington Post, Miami Herald, Jamaica Gleaner and Barbados Nation newspaper. As well, he has served as a consultant to the Commonwealth Secretariat, USAID, Canada’s Ministry of Foreign Affairs, and he has testified before the U.S. Congress on security issues. The new Vice-Chancellor has been a visiting scholar at the Perry Centre for Hemispheric Defence Studies in Washington DC, the Royal Military College in Canada and the George Marshall European Centre for Security Studies in Germany. He was one of 45 experts commissioned by the OAS Secretary General to review hemispheric drug policies and practices and offer anti-drug scenarios. For his exceptional work in his field of expertise, he was awarded the 2015 William J. Perry Award named in honour of former United States Defence Secretary, Dr William J. Perry. In addition to his Bachelor of Social Science (Political Science, with Distinction) degree from the University of Guyana, he also secured a Diploma in Communications from UG. Moreover, he holds a Master of Arts degree from Long Island University in New York and a Master of Philosophy and PhD degrees in Political Science from the City University of New York Graduate School. Further, he completed the program in Educational Leadership at the Harvard Graduate School of Education. Professor Griffith is married to Ms Francille Griffith and they have two adult children.